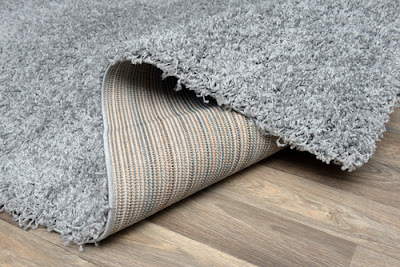 Carpets can enhance the look of any home interior by adding texture and color. You can maintain that look with regular cleaning. Otherwise, the grit and dirt will damage the carpet fibers and that will affect both the appearance and longevity of your carpets. 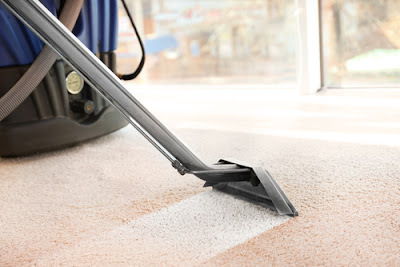 Despite your best effort, your carpets will be subjected to the spills, accidents, and drops. 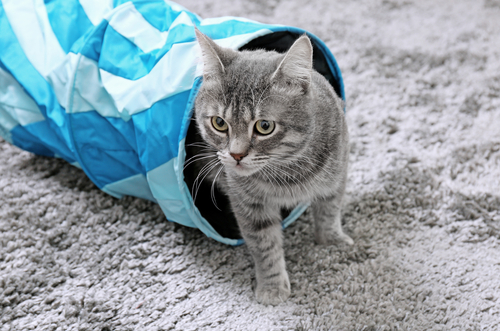 Your pets and kids can even make the condition worse. Therefore, it is always important to clean the carpets at least once in a year. You can either hire the professionals or you can do it on your own. If you are looking for some tips to know how to clean carpet yourself, you can consider the following 10 effective ways. If you want an easy and effective cleaning, then you will have to clean the stain before it sits around. If you clean immediately, the cleaning will be easy. In fact, you will be able to clean it properly without much effort. The type of the stain will decide the cleaning process. You can use a cleaning solution, soda, even the nail polish remover depending on the stain. You need to dab the stains with a cloth and cleaning solution. You can also use a sponge or paper towels. Blotting with a little pressure on the stain will make the cleaning easy. But if you rub, then the particles will get inside the carpet fibers and that can damage the construction and can affect the longevity. Therefore, you will have to blot from the outside of the stain for easy and effective cleaning. You can use a shaving cream to clean the carpets. This is very effective for all types of stains. You just need to apply it directly to the stain and then leave it for thirty minutes. Once it is set, you can blot the cream away with a dry cloth. Then you can prepare a solution of one part vinegar and one part water. Spray that solution on the spot and then wipe away with a cloth. While using any cleaning solution, you will have to ensure that you are using a little quantity. If you use more, it will take extra drying time. It might also damage your carpet. Instead of using any harmful chemical, you should consider using dish soap or club soda to clean the carpets. The result will be same. But the process will be safe and harmless. Club soda is used to remove wine and beer stains. It is also very effective for the carpet stains. You can blot the area with soda. Make a solution of same amount of water and white vinegar and then spray it onto that area and wait for fifteen minutes. Now you can use a sponge to clean that area. You might need to repeat this process to get the better result. After removing the stains, you can use hot water to rinse the area. Once it is done, use white paper towels to absorb the dampness. Burning candles can drip onto your carpet. It might not be easy to remove the wax from the carpets. You will have to heat it back for removal. You can place a white cloth on the wax and then put an iron on the towel to heat the wax. Finally, you can remove the wax with a butter knife. You might need to repeat this process a few times for the complete removal. But it is safe and will not damage your carpet. Moreover, you do not need to use any solution or water for the cleaning. If your carpet has blood stain, you can remove it by using hydrogen peroxide. First, you need to apply a solution of water and mild detergent to wet the area. Then you can try to remove as much blood as possible. Now you can apply the hydrogen peroxide directly to the stain. If you notice foam soon after applying, you do not need to be worried. It will immediately foam while coming in contact with blood. Then you can dab the solution with a towel to dry your carpet. Even if there is no stain, you need to clean your carpet regularly to maintain the freshness. You can consider steam cleaning using a solution under the pressure injected into the carpet through the water-jet nozzles. The machine will extract the dirt and debris along with the solution. The water will go inside the fiber and loosen the embedded soil, grease, and oil. If you have younger kids in your home, then there might be candy stains on your carpet. You can use a butter knife to remove the candy stains and then make a solution of water and mild soap and apply it in the affected area with a sponge. Make sure that all the sugar is out from the carpet. Otherwise, it will attract more dust and debris. After removing the candy, dry the spot with a towel. The best way to remove the grease is dishwasher detergent. You will need a solution of a cup of water and a few drops of the grease-cutting dishwashing detergent. You can spray the solution on the spot and then you can blot it. You might need to repeat this procedure for a couple of times for the larger stains. Then dry the area with a towel. If the carpet will remain damp for a long time, then mold can grow. You can use hair dryer or fan to speed up the drying process. Make sure that your carpet is not wet more than twenty-four hours. It will cause bacteria and mold growth. Besides, it might affect longevity. It does not matter what type of the cleaning method you are using, you will have to take care of drying to get a better result.